The first is the sad passing of Donovan Lambertus of DSL Ironworks, who produced a number of third-party supplements for the Traveller RPG. 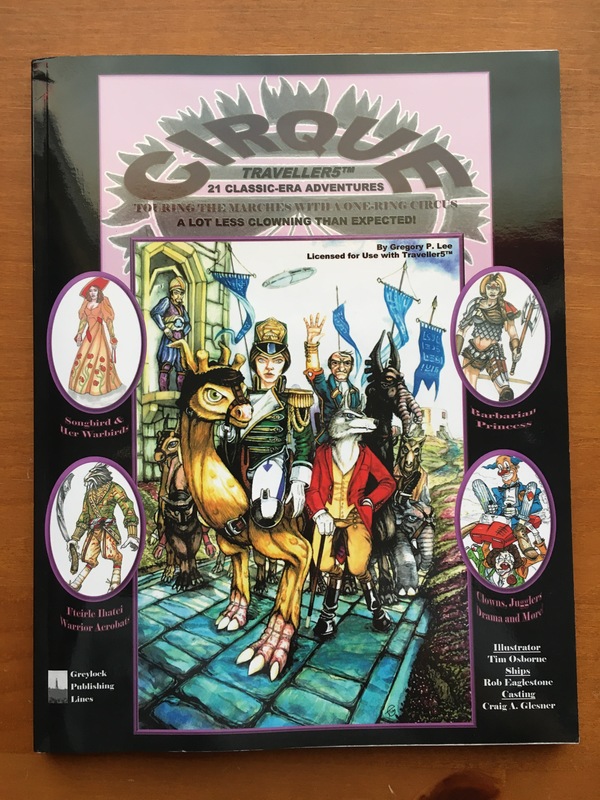 The second is also another passing of a Traveller RPG friend Gregory P. Lee, who produced the recent Cirque supplement under the Greylock Publishing Lines name. Both Donovan and Gregory were kind supporters of the Amber Zone contest and I was one of the lucky recipients of some of the DSL ironworks PDF’s and Cirque soft back book, from entries to the Amber Zone contests. 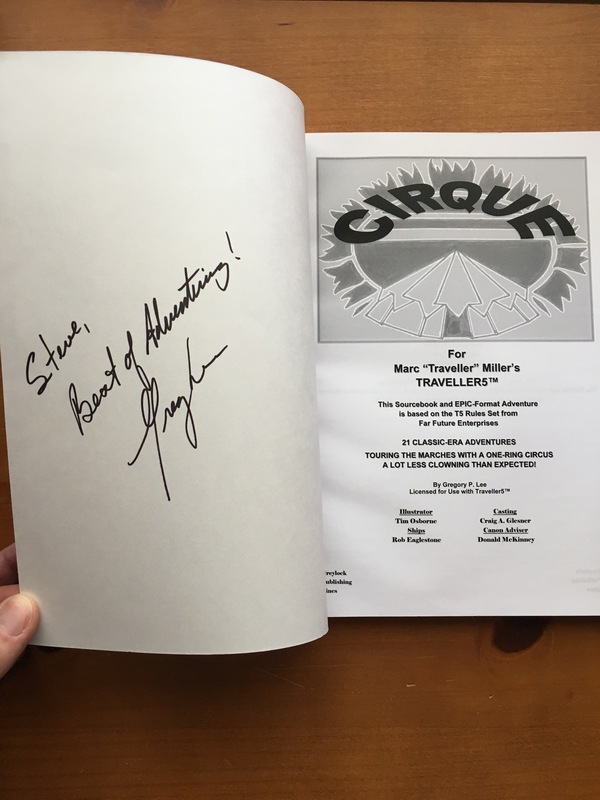 Unfortunately I’m on holiday in the North of England at the moment and don’t have to hand what Greg wrote in my copy of Cirque, which I’ll add at a latter date. They will be greatly missed along with their contributions to the Traveller and sci-if gaming community. Wherever you are, please raise a glass to their memory. 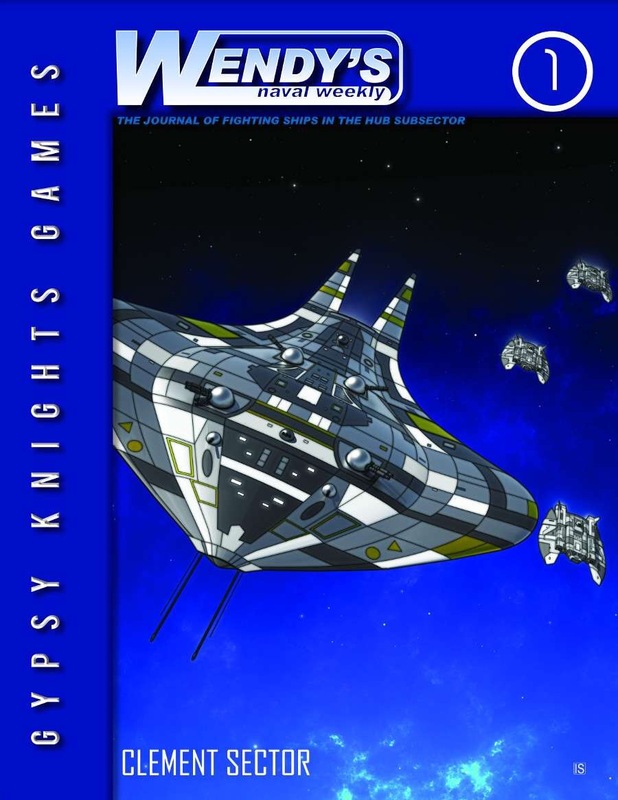 Onto the reviews; I’m going to take a look at the two releases (so far) from Gypsy Knights Games under the name ‘Wendy’s Guide to the Fleets of…’, namely in this case ‘…the Hub Subsector’ and ‘…the Cascadia Subsector’. I’m going to review the two books together as they are very similar products. Both books are sourcebooks / reference books for the named subsectors, in Gypsy Knights Games ATU ‘Clement Sector’. In some ways, there is a tiny bit of repeated material from previous editions of ‘Hub’ and ‘Cascadia’ sourcebooks, but from what I can see any previously used material has been brought up to date to be Cepheus Engine compliant. ‘Hub’ is 71 pages long and ‘Cascadia’ is 76 pages in length. They are both available from Drivethru RPG for $9.99 apiece; print-on-demand options are also available. Michael Johnson has authored both books, along with contributing art from Ian Stead, Michael Johnson and Bradley Warnes. Both products are pitched as ‘summaries of fleet listings and naval developments, technology and defence news’. What does this mean from the point of view of content? For ease of review, thankfully (! – from the point of viewing!) both books are very similarly laid out. Covering two respective subsectors in the Clement Sector, they are broken down into three distinct sections; naval listings, a career generation path and rank charts and a major spacecraft description and stats. When I initially flicked through the first book to be released (Hub) I was a little wary of books that list fleets for seemingly the sole purpose of filling a book with lists. Back in the day, I recall seeing some RPG supplements (published years ago) that were simply this – army lists of goblins, orcs, dwarves etc but not really putting any context or background as to why they exist and the publisher charging a load of cash to buy it. But, I kept an open mind and started to plough through the book. Thankfully, I’ve been pleasantly surprised with the content and how the book has been put together. The first section, the fleets listings and background is broken up into descriptions of the various fleets operating in the systems within the subsector. You get not just a list of ships operated by that fleet, but some background information on how the it operates and how government policy. Subsequent paragraphs describe fleet uniform (standard dress, duty and war dress). Depending on the size of the organisation, some fleets are larger than others, ranging from small anti-pirate patrols operating three or four converted merchants), to major battle fleets with everything from large cruisers to patrol cutters. The next section you are presented with a career generation path; this is where there is a little repeated information between both books, in that you have the ‘System Navy Career Path’ described, which is followed with tables of variations of ranks, for all the navies described. There is plenty of excellent artwork, ranging from colour illustrations of spacecraft featured in the books to uniform illustration and advertising posters. The final section you get (for Hub) ‘Sword of God-class Light Destroyer’ and “Cascadia’ you get the ‘Alfred Thayer Mayan-class Heavy Destroyer’. 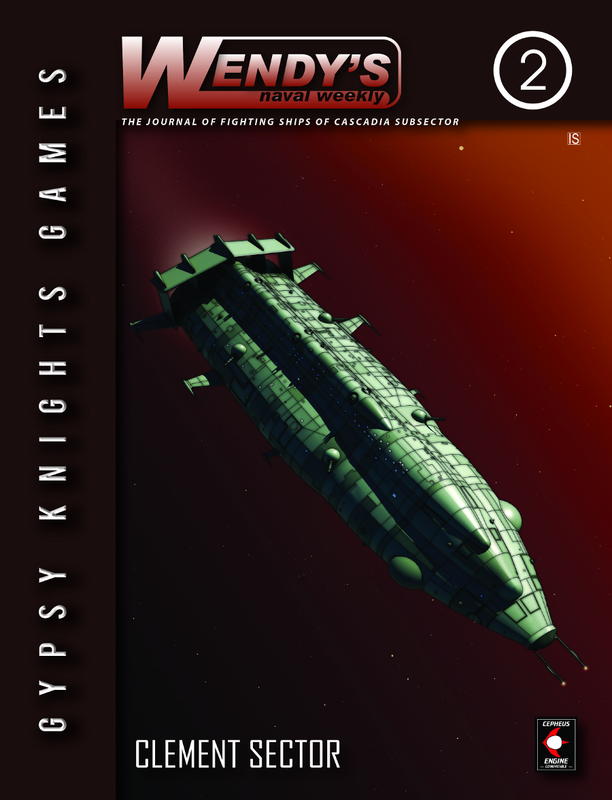 Full ship descriptions, statistics for Cepheus-Engine rules and deck plans are provided. The former is an interesting design; shaped like a Manta-ray, its operated by the ‘Kingston Navy of the Faithful’, it is a design that defies classification, but fulfils a number of roles – a multi-role strike ship perhaps? Bearing in mind the slight wariness I had with these two books, I’m pleasantly surprised by the amount of content packed into such a book – it’s unfair to compare it against another ‘listings’ RPG books from other publishers. The upshot is to read all the text – there is plenty of source material here to make both books a worthwhile investment and inspire referees. The books add colour and background to adventures – get the players who may be on an infiltration mission to find out what the correct uniform is for the Roskilde System Navy… if they get it wrong they could be in a whole heap of trouble…! I also noticed a number of ship types whose names I didn’t recognise – hopefully more from the ‘Ships of the Clement Sector’ series? I’m assuming there will be similar books for the other Clement subsectors – in which case I look forward to seeing more from ‘Wendy’s Fleets’! I would like to thank John Watts of Gypsy Knights Games for very kindly sending me a copy of both books to review. This entry was posted in Cepheus Engine, Classic Traveller, Mongoose Traveller, OGL and tagged Cascadia, Clement Sector, Fleets, Hub, Wendys Guide. Bookmark the permalink.